EHA » EHA puts #H2too at Hannover Fair 2018! EHA puts #H2too at Hannover Fair 2018! 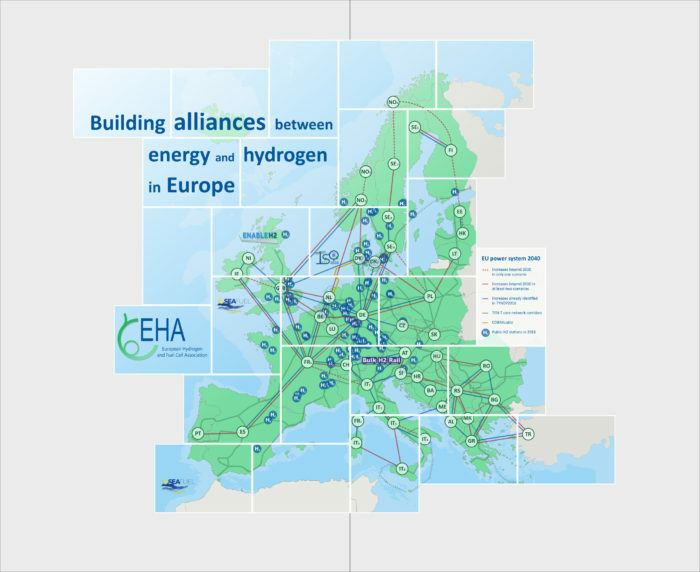 EHA will be presenting its #H2too campaign at the Public Forum of the 24th edition of the Hydrogen + Fuel cells + Batteries Group Exhibit at the Hannover Fair on the first day, right after EU vice president Maroš Šefčovič of the Energy Union is presenting his European Battery Alliance. We will be talking about the need for a new narrative and alliance, not only of the willing, but of “deployers” that are willing to make their hands dirty in setting up the first #H2too communities. These communities can be made of industries, bundling their H2 demand facilitating the first large electrolysers installations, fleet owners introducing the first larger numbers of FCEV into their fleet, datacentres that need constant “renewable” power, and energy storage guarantees: Join us at stand E65 in Hall 27 and find out more on our support of the first EU Synergy project TSO2020, and our session on “Hydrogen deployment in Emerging economies” together with the UNFCCC CTCN at the WHEC2018 on June 20 in Rio!